The German chancellor outlines her plans for the European Commission to transform into an EU government. 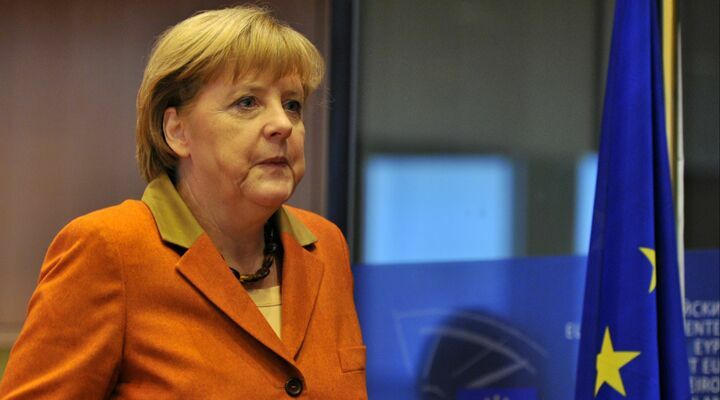 German Chancellor Angela Merkel outlined her vision of Europe in a speech to the European Parliament November 7. But it was when she stepped away from her prepared notes to respond to a statement by parliamentary leaders that she revealed most about the future she sees for the European Union. I’m sure the Commission will become a government one day. I’m sure that the Council will become a second chamber one day. And I’m sure the European Parliament will take European responsibilities otherwise it won’t work in the long term. But today we must save the euro and create the basis properly. And we must give people a little bit of time so that they can come with us. Chancellor Merkel gave no such caveat. An EU with its own government, complete with a two-chamber system—a congress and a senate—is exactly the kind of thing we envision when we say that it will become a superstate. Merkel admitted that this superstate wasn’t yet the will of the electorate. She pointed out that European leaders tried to set the groundwork for this with the European constitution, which was rejected, but that she plans to push ahead anyway and hopes that after the financial crisis the voters will come along. The Trumpet has long said that European insiders knew that creating the euro would bring about something like the current crisis—forcing Europe to become a superstate, against the will of most Europeans. This is exactly what we are seeing happen right now. Merkel’s statements show how Europe’s leaders see the EU. They want it to become a superstate, and the euro crisis gives them the chance to “create the basis properly.” And Mr. Verhofstadt is undoubtedly right. The euro crisis will force the EU to go through this metamorphosis more quickly than Merkel’s statements suggest.